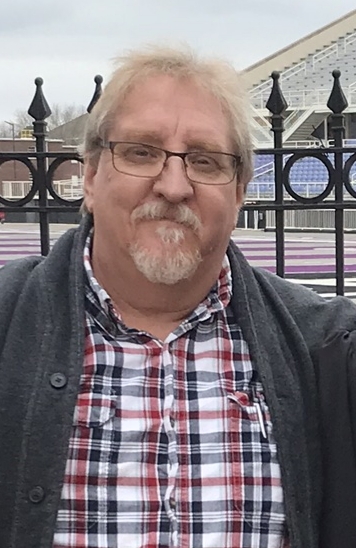 William Mark Moore, 57, passed away suddenly at his home in Bryant, Arkansas on January 30, 2019. Mark was born in Fairbanks, Alaska on September 8, 1961. He grew up in Hope, Arkansas, then went on to Hendrix College in Conway, Arkansas graduating with a B.A. with Distinction in Psychology in 1983. He then attended the University of Arkansas in Fayetteville obtaining a M.A. in 1989 and a Ph.D in Clinical Psychology in 1992. He leaves behind his parents, Robert and Vonda Moore, his wife, Mary, son, Will, daughter Hannah and a sister, Vicki (husband James). He was also an uncle to six nieces and nephews—Kamryan, David, Rachel, Cherith, Daniel and Jonathan. He also leaves behind aunts, uncles, cousins in Arkansas, Oklahoma, and Texas. Mark was married to his wife, Mary for 29 years, was a wonderful husband and father, was an incredible story teller, loved the Beatles and Halloween. He was an expert pumpkin carver and loved cheesy horror movies. He always tried to make you laugh no matter the situation, always having a positive outlook on life. Mark was a Clinical Psychologist at the VA Hospital in North Little Rock for 28 years, as well as a consultant at the Vet Center in North Little Rock. He was a supervisor and mentor to many fellows and interns through the Fellowship Program. His supervisees respected his knowledge, wisdom, kindness and generosity and he loved working with veterans to help them accomplish educational and life goals. Mark always said he had the best team out there and was proud to be a part of it. The memorial gathering will be held on Wednesday, February 27, 2019 at 12 p.m. in the North Little Rock VA Chapel. The chapel (room GH 109) is located on the ground floor of the main hospital building (170). Family, friends, veterans, staff and all others that have had the honor to be connected to Mark in some way are welcome to attend. In lieu of flowers, donations can be made to the Veterans Home (VA Hospital in North Little Rock).